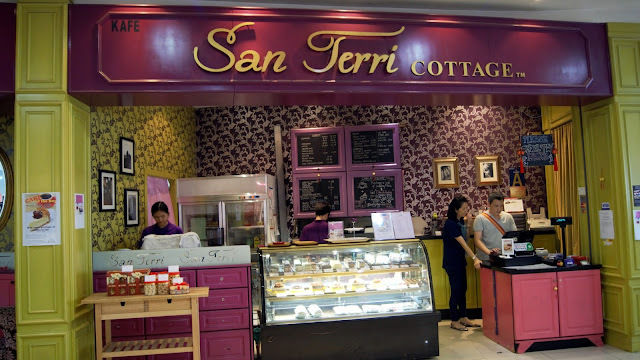 San Terri Cottage Cafe has been around for years and has been the to-go place for cakes & tea to the Hartamas folks. Nestled at a cozy corner of Plaza Damas , San Terri has been delighting loyal customers with their homemade cakes & hot meals for years. San Terri would be the perfect spot to wind down, or have a tete-a-tete session with its cozy sofas laid out on its premise. 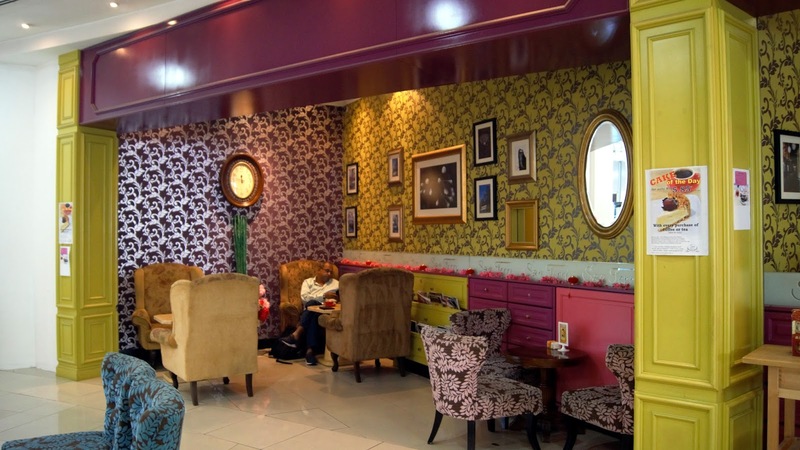 One can spend hours sipping on tea or coffee, accompanied with a slice of cake on the comfy sofa seat. 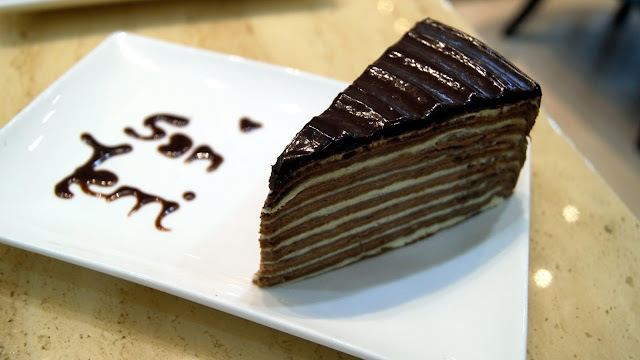 San Terri's signature cake! The sponge layer was delightfully spongy & soft. It complements the soft & fluffy cream perfectly, which was embedded with red beans that gives the cake a delightful burst of sweetness. 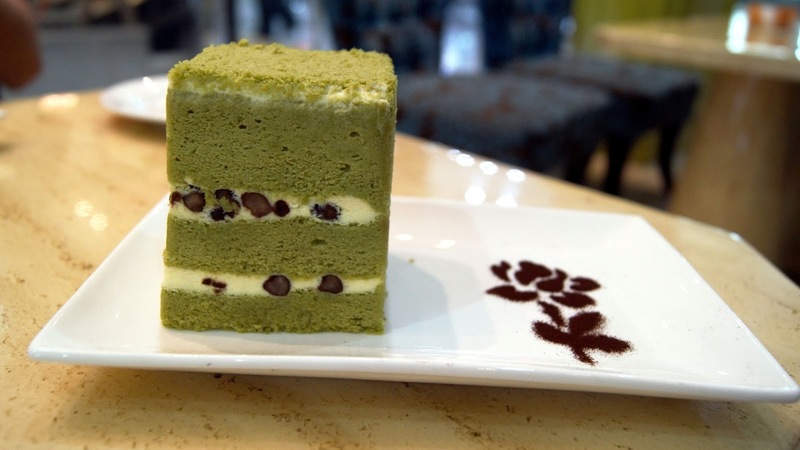 The taste of green tea was slightly milder though, which might be a let-down to matcha fans but it is really all up to preferences . 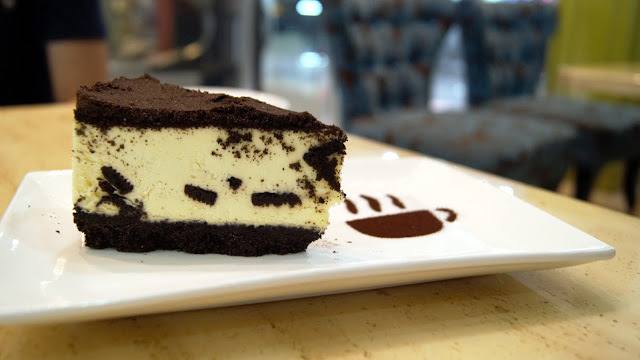 The classic Oreo cheesecake, with a crumbly oreo biscuit base, followed by cream cheese layer embedded with chunks of oreo & finished off with oreo sawdust. 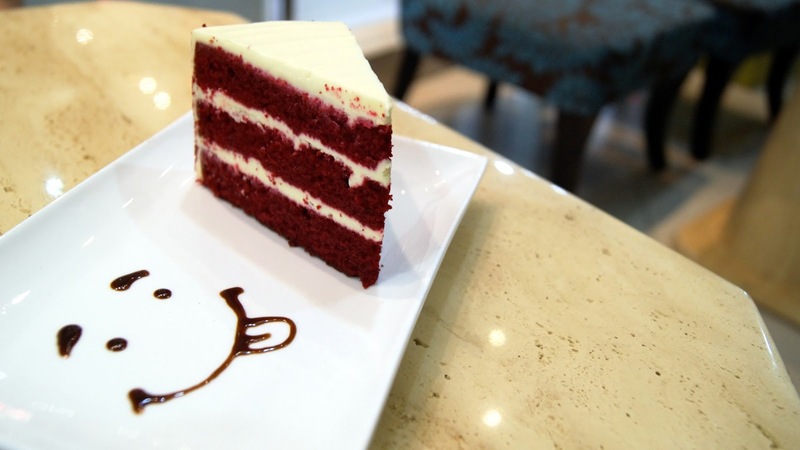 Moist red velvet cake with cream cheese frosting that has a sweetness that was just right. Definitely one of the more decent red velvet cake out there! Chocolate crepe layer with alternating cream layer, topped off with a glossy layer of chocolate ganache. Mint lover would be delighted as the taste of mint was evident in this cake. I'm not such a big fan of mint so I can't comment much on this. Double portion of crunchy fried chicken bacon strip on a bed of coral lettuce, purple cabbage, chopped capsicum, cucumber & tomatoes. Served with balsamic vinegar & raisins to give it a nice sourish & sweet kick to balance up the flavours. Triple decker sandwich consisting of double portion of fried chicken bacon, lettuce & tomato. Served with a scoop of homemade mashed potatoes, topped with crunchy fried chicken bacon bits. 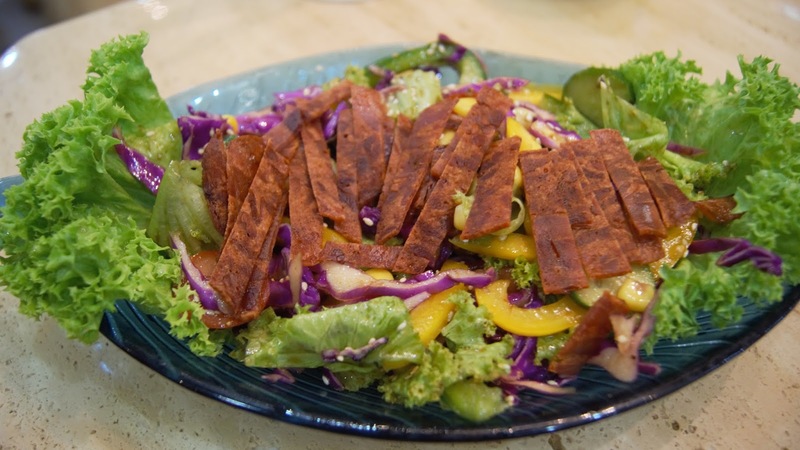 Patrons can also choose from 5 different homemade dressing to go with their sandwich! Wasabi, Apple, Honey Mustard Thousand Island & Spicy Tartar. We opted for the Wasabi dressing and it certainly spiced things up! 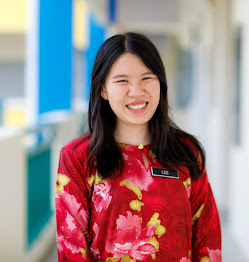 A delightful afternoon sweet treat that isn't too heavy for the stomach. 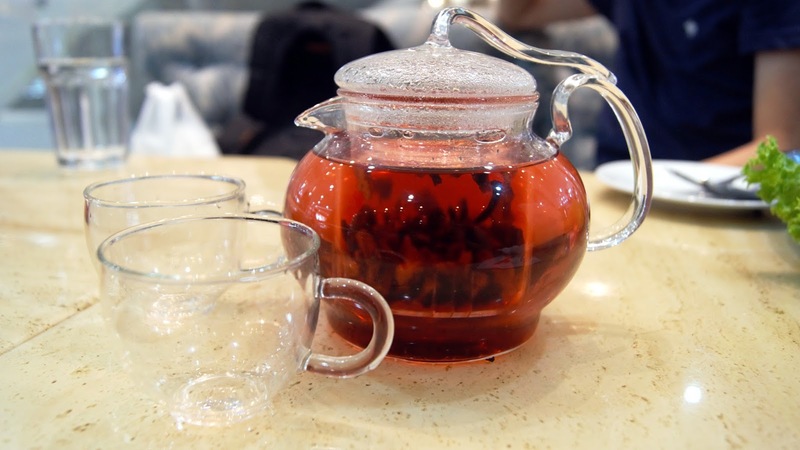 I have to admit that I was never a tea person but this pot of tea was a delight! Aromatic peach taste with a tinge of sourness. 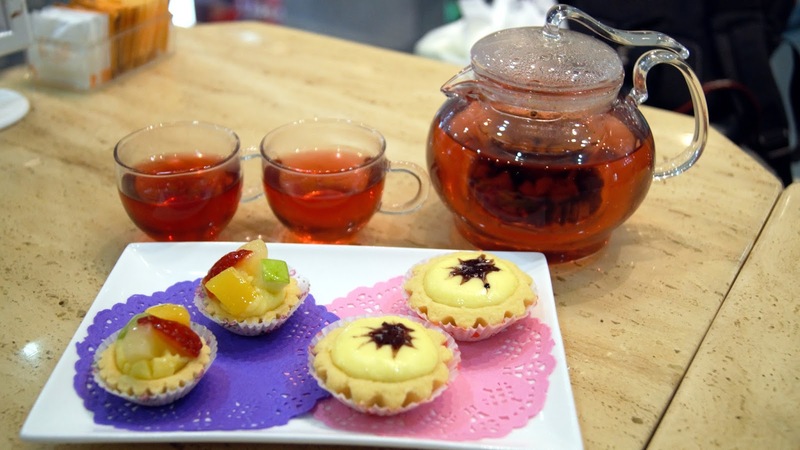 This pot of tea can be refilled up to three times before loosing its taste.